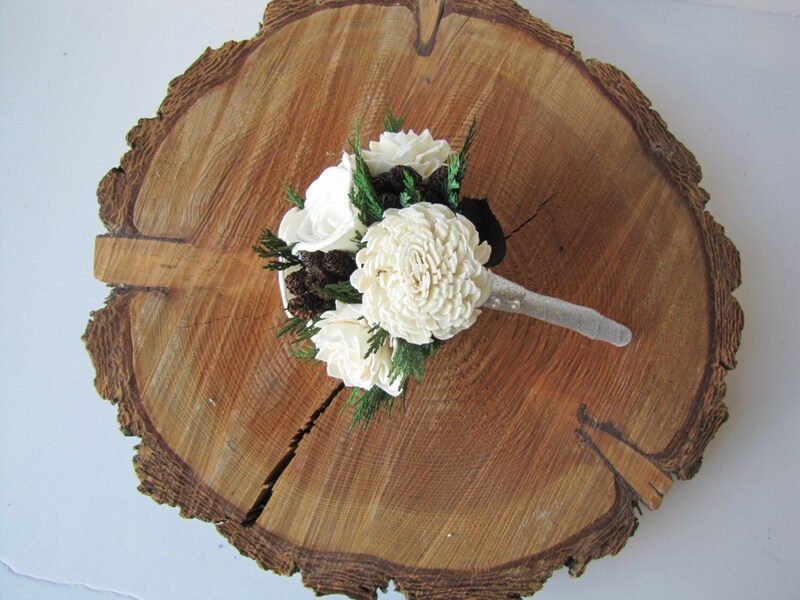 This toss bouquet is a beautiful keepsake for after the wedding. 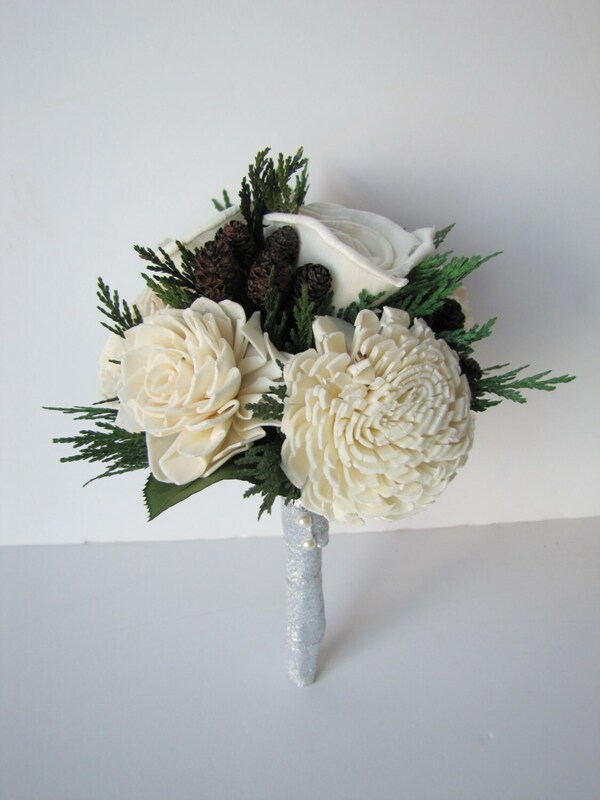 The bouquet is composed of seven cream colored sola flowers, natural miniature pinecones and preserved cedar foliage. You may choose your ribbon color at checkout. 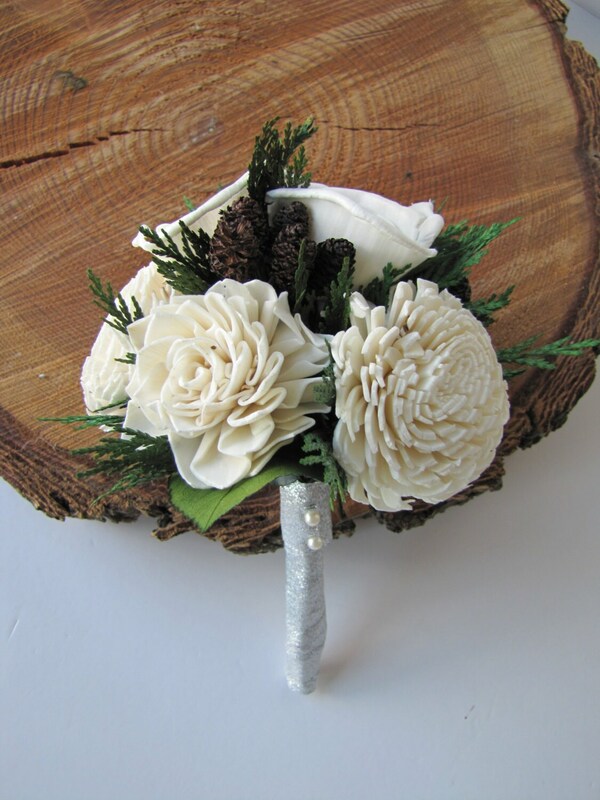 The Bouquet is approximately 4.5" inches in diameter from tip to tip of the preserved cedar foliage. 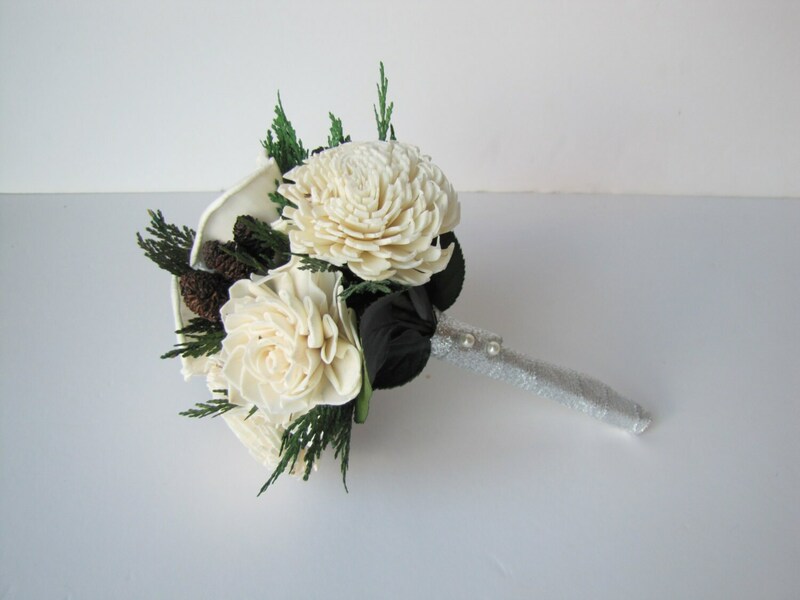 A great small sized bouquet for a bridesmaid to carry. This is a "made to order" item. Turn around time is 2-3 weeks, however, if I have all supplies on hand, I will ship it out to you sooner. If you need it as a rushed order, please message me to see about possibility. I can create similar bouquets, coordinating corsages and boutonnieres, ring bearer boxes, flower girl pomanders... Convo me if you're interested in any of these pieces being custom created for you. 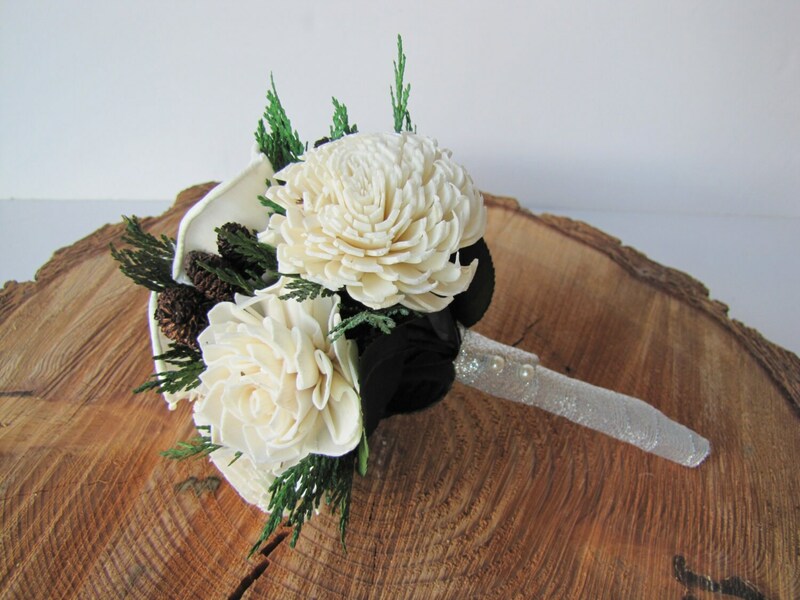 Otherwise I have a variety of items already on my shop that will coordinate well with this bouquet. Beautiful!!! Very well made and packaged very well. Highly recommend this shop, you won't be disappointed.